Because resistance is futile, I go with the flow. It makes me happier. And when I’m happier, I feel better. And when I feel better, things just work out better for me. Easier said than done sometimes however, It’s a great practice to get into. Think about driving down the street. There’s lots of traffic and you’re tired and all you want to do is get home and put your feet up. You sit in traffic and turn the radio up and sing along. You lose yourself in the tunes that are playing. Then, screaming up behind you comes one of “those people”. They’re in a rush too but they’re frustrated and angry. They weave in and out of traffic, generally causing a fuss and working themselves up into more stress in the processes. 15 minutes down the road, you see that car. sitting at a set of lights, waiting to turn where you need to turn. You pull up behind them. Now, you’ve both arrived at the same location at the very same time. The only difference is that you’re calm, relaxed and surely considering trying out for the next X-Factor because let’s face it, we all sound fabulous in the car! – and they are sitting in their car, more tired, angry and frustrated. 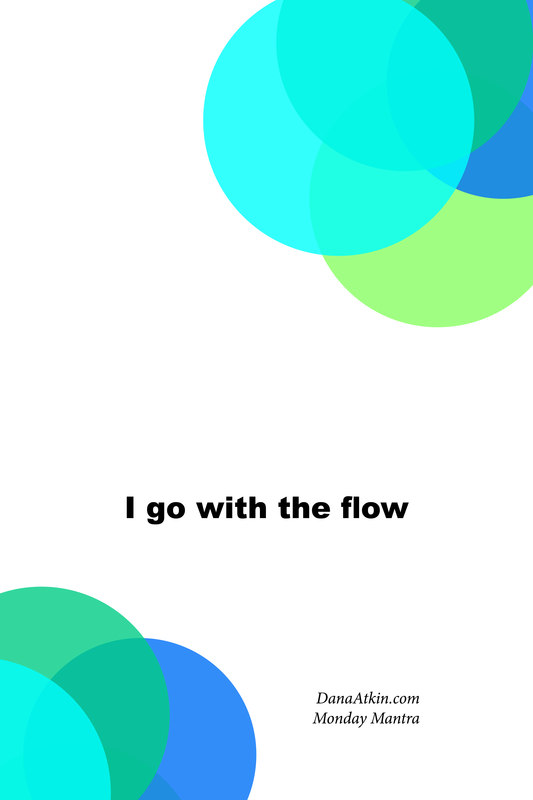 I choose going with the flow.